Anne Elisabeth Stengl makes her home in Raleigh, North Carolina, where she lives with her husband, Rohan, a passel of cats, and one long-suffering dog. When she's not writing, she enjoys Shakespeare, opera, and tea, and studies piano, painting, and pastry baking. She studied illustration at Grace College and English literature at Campbell University. 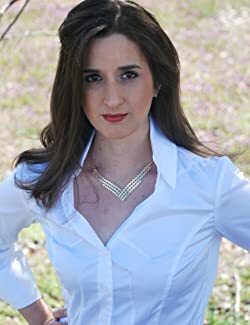 She is the author of the award-winning Tales of Goldstone Woods series, an ever-growing world of knights and dragons, mystical forests and hidden demesnes, unspeakable evil and boundless grace. Her first novel, Heartless, won the Christy award for best debut in 2011, followed by an unprecedented consecutive win the next year for Veiled Rose, in its own category, and Starflower was most recently honored with the Clive Staples Award for 2013. Please enter your email address and click the Follow button to follow Anne Elisabeth Stengl! A short adventure set in the world of Goldstone Wood, featuring a fan-favorite character!She is a Knight of Farthestshore, a woman of courage . . . and secrets. She has faced many perils in her time, but nothing has prepared her for the evil she is about to encounter in the treacherous Wood Between.